There is little evidence in the literature about the possible relationship between sarcopenia and cognition in older adults. 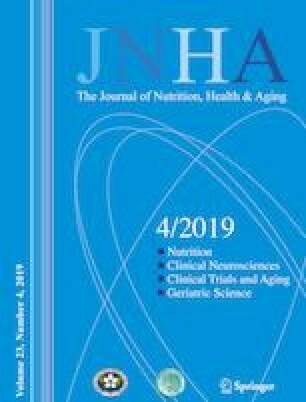 Our objective was to investigate the association between cognitive impairment and sarcopenia in older adults living in the community through a systematic review of published studies. We performed a systematic review with meta-analysis through Pubmed, LILACS, Scielo and Web of Science databases between March 1, 2001 and December 18, 2018. We included longitudinal and cross-sectional studies that evaluated sarcopenia and cognition as a primary objective. Of the 274 studies identified by the systematic review, 10 were included in qualitative analysis (total of 9,703 participants), and 6 were eligible for the meta-analysis (n = 7,045). Mean prevalence of sarcopenia was 10.5%. Cognitive impairment was observed in 269 participants with sarcopenia (40%), compared with 1,616 in non-sarcopenic participants (25.3%). Sarcopenia was significantly associated with cognitive impairment (pooled OR = 2.50, 95% CI = 1.26–4.92; p = 0.008). Heterogeneity across the studies was high and significant (I2 = 84%). Our analyzes confirmed that sarcopenic older adults presented a higher prevalence of cognitive impairment. Sarcopenia may represent a risk factor for cognitive decline, but longitudinal studies are needed to explore causality. Prof. Aprahamian receives National public grant level 2 from the National Council for Scientific and Technological Development (Ministry of Science, Technology, Innovation and Communications, Brazil).